The top of the Helix. 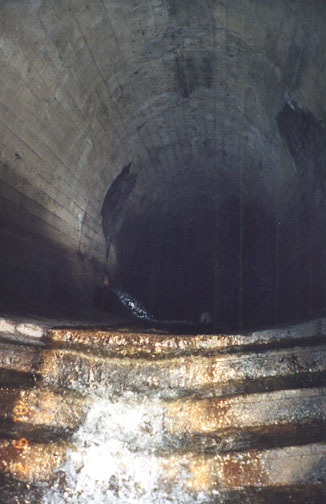 Unlike the West Helixes, the shallow tunnel this leads to is just as massive as the deep one. We have not explored more than a couple hundred feet down the massive shallow tunnel, and have no idea where it might lead. Note the water spewing into it from the pipe at left.